$50 can help provide innovative health care to 10,000 women and 4,000 babies each year. Our beautiful baby Sebastian was born on 20 September 2017 and lived for just 12 hours. 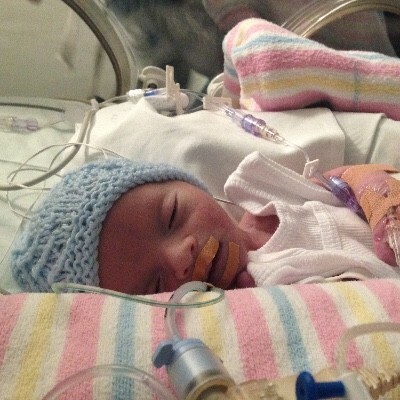 Sebastian was only able to live that long because of the loving care of the doctors and nurses in the Newborn Care Centre at the Royal Hospital for Women and the gift of a ventilator by another family that helped him breathe. The life of every child, however short, has meaning. The machine that allowed us to spend some time with our son cost $50,000 each. I would like to help another family spend some precious time with their little one by helping raise funds towards the purchase for another ventilator. From great aunt JO and family, with our sympathy. In loving memory of Sebastian Noah. Dearest Amelia. So glad you and Craig got to meet your son and spend some time with him due to this incredible technology. This is the best use of our money I can think of. You're in our thoughts and prayers. Hi Amelia - Your colleagues are thinking about you at this sad time. In memory of Sebastian. Sorry for your loss. Hopefully we can all contribute to better care to other families going through the same journey in the future.